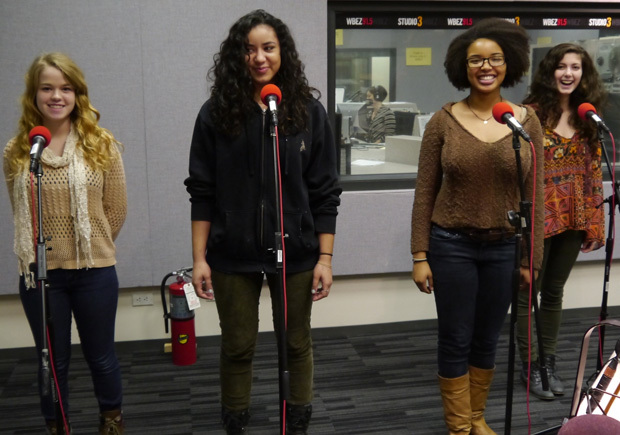 We Are Poets is a team piece performed by the poets of Oak Park and River Forest High School: junior Delaney Miller, 17, senior Natalie Richardson, 17, senior Camara Brown, 17, and senior Hannah Srajer, 18. This was the third year in the competition for Natalie, the second for Hannah and Camara, and the first year for Delaney. Their piece explores different parts of a march. Poets march in protest of a law passed in 2023 forbidding free speech.